Positioned at a key point on the global IMO 2020 timeline when the majority of vessels will have just begun their transition to 0.50% bunker fuels, ICBC will be one of the first events where delegates can benefit from real world experience of the reality of IMO 2020. ICBC features an ambitious programme focusing on the Caribbean and related bunkers markets including USGC, Panama, and beyond. It will provide critical insight, training, and networking opportunities for all stakeholders including shippers, carriers, suppliers, traders, Port Authorities, regulators, NGOs, brokers, lawyers, surveyors and academics. Key among the discussion points will be an exploration of what the impact of the IMO 2020 sulphur regulation will be for bunker buyers, suppliers, and operators in the region, particularly with respect to compliance solutions, enforcement, and the availability of new fuels. 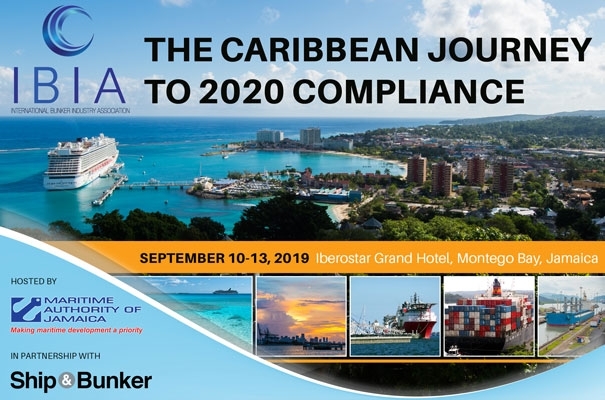 In addition to proving an understanding into the cost of IMO 2020 from shippers to suppliers, ICBC will also showcase the current regional bunkering infrastructure and look at what the future holds for the Caribbean and the Americas bunker markets. On September 10, IBIA is also offering its Bunkering Training Course with renowned Course Director, Nigel Draffin – Author of 12 books on Bunkering and IBIA board member.